Adoption of a dog or cat might be out of the question for you, but why not consider foster care for the Holidays? After-all dogs and cats live in the moment, and they would appreciate that time with you! The more interaction a dog or cat has with a loving family, the more socialized and adoptable that pet becomes to another family. Foster care for an animal is hard work. They can be messy or even destructive of rugs, curtains, and etc. It depends on the animal of course, but it brings its rewards as well. 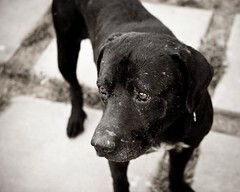 With shelters overflowing during this recession with these loving creatures...just consider it. In the Charlotte area to apply for foster-care,volunteer, or donate visit Charlotte's Humane Society. Call Merry Murphy Pet Sitters for trusted pet sitting or dog walking services in Charlotte,N.C. part of this city's network of home pet sitters. have to face the stress of going to a kennel. most of all to be caring and compassionate with your pets. Give us a call. We look forward to serving you. Should You Use a Pet Sitter or Kennel? was less than complimentary to be sure! Pet Sitters, like myself, do hope to derive most of their business from customers we hope are swayed away from kennels simply because we believe it truly is healthier for a pet to stay in their own home. The argument against this comes from a kennel which is tired of being down-played by pet sitting businesses in their advertisement. Pet owners can make good decisions on pet care by utilizing a reputable pet sitter, and can also find really nice boarding facilities. Each has its up and down side. The fact remains that a pet is the happiest when they are with their owner. After that, it is up to the pet owner to make the best choice for his or her pet. How Do you find that Perfect Pet Sitter? If you have used a pet sitter in the past on a regular basis, in all probability you found it was the perfect answer for you and your pets. Generally, after the first visit and experience, a trust relationship was built, you had someone you could just simply call or e-mail, and know your house and pets were being looked after in your absence. The question is: How do we find that Pet Sitter? If you don't have a personal recommendation from a friend,start with a Google search. Know that most reputable pet sitting services will not invest a lot of money in paid or sponsored search. Is the Pet Sitting service on the first two pages of Google search? If so, they have probably been around and are established in order to rank organically on a search engine. The Pet Sitter should belong to a reputable pet sitting organization such as N.A.P.P.S. (National Association of Professional pet Sitters). You should also find the pet sitting business listed for a particular geographical area. A reputable pet sitter will insist on an initial interview with you. It is standard to do so, and any thing else would be unprofessional! The trustworthy pet sitter will willingly provide references,and have insurance.At the initial interview, you will have the opportunity to get to know the pet sitter. If the pet sitter plans on using anyone else to provide the sitting for your pet,ask to meet them, or simply tell the representative you do not want a substitute. Please keep in mind that any pet sitter needs a "back-up"in the event of an unforeseen emergency. If the above points are considered, in all likelihood you will find a great pet sitter. Trust will have to be built initially between you, your pet, and pet sitter. Pet Sitting "Potty Breaks" : How Many Are Really Needed? The invention of the "pee pad" is heaven sent. Yet, if using a pet sitter,how many visits for a potty break are really needed? A puppy is going to go quite often and you can count the need for these pads. If not, you need to subscribe to The Daily Observer. In the Charlotte area, simple breaks for pets will cost you approximately $15.00. With the proper equipment purchased,you can manage leaving your puppy alone, but attention from a "live' human will always be better. That's where pet sitters come in! Yet with mature dogs, it's fair to say that 5 hrs. is the usual time limit capacity before a dog will need to empty his bladder. Exercise is needed for dogs confined to the house. Usually, once during the workday will be enough if you have attended to your pet in the early morning and will again at night. Once again, if you own very small sized dogs, you can train them to use pads or paper. Charlotte, N.C. is not the only city famous for its dog lovers. Seattle not only loves coffee, it loves its pets even more, and with that is coming regulation of dog day care just as it did for child-care in the 1960s! Dog day care is growing just as the pet sitting industry shows no signs of leveling, and when so many businesses start popping up, calls for regulations come from pet owning citizens. For your home pet sitting needs in Charlotte,N.C. call Merry Murphy Pet Sitters at 704-246-4148. More than likely the pet sitter you hire has been heavily involved with pets for some time, and more than likely has a few of their own. After the initial interview or consultation, check references provided, and by all means trust your gut instincts! Many pet sitters will update you by phone or e-mail if you want planned updates. Your trip will be enjoyable if you know your pet and house are in excellent hands. This knowledge will allow you to relax and have a great vacation. Odds are you will have a satisfactory experience with the pet sitter or dog walker you hire. There is always some risk in hiring a pet sitter,boarding your pet, or even leaving your pet at a vet clinic. Mary Hickman at Articles Directory mentions one of the most important factors in determining who to hire. At Merry Murphy Pet Sitters we take delight in offering our services for the Charlotte,N.C. area. "Not only should you question the pet sitter's references, you should question the pet sitter. Ask them questions about how they would deal with certain pet situations, such as a medical emergency. Ask about their knowledge of animals and past experiences. Also, ask any questions that would make you feel more comfortable in making a decision. Example questions: Have you as a pet sitter ever had emergency situations with a client's pet. If so, how did you deal with it? Another example question, do you have any employees? If so, are they reliable and insured? What is your backup process for when you cannot complete your pet sitting duties?" If you plan to use a pet sitting, or dog walking service for a new pup, be sure to explain in detail the schedule and routine you want your pet sitter to follow. During the crucial time of training, and in order not to undo all your hard work, explain exactly the step-by-step routine you use. For instance, many pet owners don't want their pet indiscriminately pottying anywhere in the yard. If you have a temporary pen set up in your backyard for the puppy to use, simply tell the pet sitter that is where your puppy is being trained to do their "business". Remind your pet sitter that the puppy is not to be permitted to be left unsupervised for even a minute if you having a strict training routine in progress. Otherwise, you will once again have your hard training work undone. Pet sitters will be glad to follow any training routine you have established. The one above is just an example. For pet sitting and dog walker services you can call Merry Murphy Pet Sitters for the south Charlotte, N.C. area. Charlotte,N.C. is famous for its pet-friendliness,quality pet sitters, and the resources for our older (senior) dogs and cats are exemplary! What led me to use a pet sitter (long before I became one) was the factor of how to best handle my older lab when I had to travel. I didn't want to use a kennel (and there are plenty of excellent ones in Charlotte) because the emotional stress of changing Lady's environment had subtle health consequences. Use a Pet Sitter: there are plenty of qualified,professional dog walkers, and sitters in Charlotte,N.C. Take time in accessing the benefits any pet would experience, but I highly recommend the older cat and dog being in the care of a trusted professional in your home and pet's own environment. If medical attention is needed in your absence, the professional petsitter will have already made plans with you on how to handle any emergency. Enjoy your vacation time knowing your pet's new friend will soon be an old trusted friend. Merry Murphy Pet Sitters, 704-246-4148, offers the above services in south Charlotte,N.C. A pet sitter—a professional, qualified individual paid to care for your pet—offers both you and your pet many benefits. the environment he knows best. his regular diet and routine. happier friends and neighbors, who aren't burdened with caring for your pet. someone to bring in your newspaper and mail so potential burglars don't know you're away. someone who will come to your home so you don't have to drive your pet to a boarding kennel. other services provided by most pet sitters, such as plant watering and pet grooming.